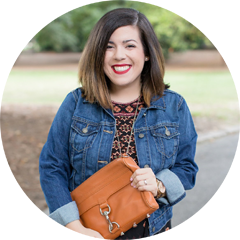 It’s no secret that I love a good handbag, especially one that’s big enough to carry all of my things (especially my planner!). 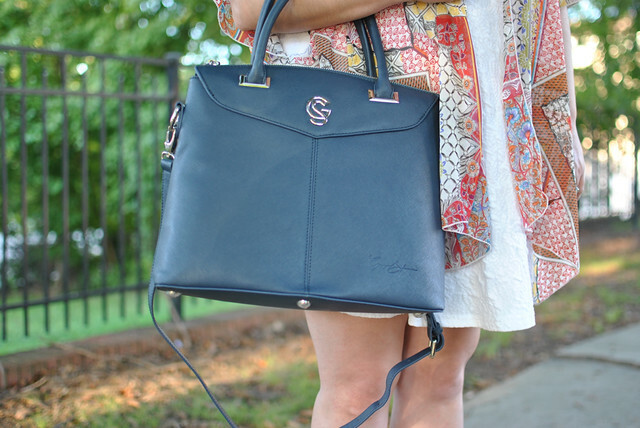 This bag from Gregory Sylvia has proven to be perfect for just that. I love using it during the work week because of how big it is, and also because of how professional it looks. It also has more than one option for a handle which is amazing! It has definitely been my go to lately, and I really loved the way that it looks with this non-work outfit too! 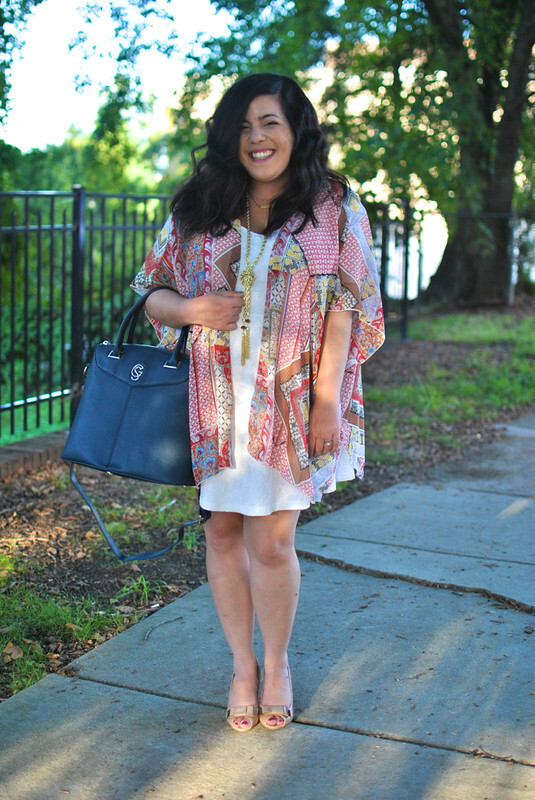 I can’t get enough of this kimono and white dress together lately. It’s definitely the perfect summer combination since it’s still insanely hot in NC! Great outfit, I love you bag! Wow you look so amazing in this dress and Kimono! Love the Kimono! Kimonos are so pretty- love this one! Great bag! 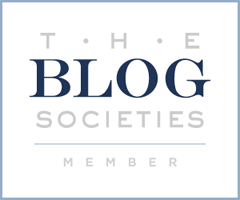 I love big bags with multiple carrying options. Have a wonderful day! I'm still in love with your kimono. Beautiful! I love the kimono paired with that dress and those heels are to die for! So pretty! You are so cute! Every time I see your pictures, I just love them. They make me happy because you look happy. This bag looks awesome! I totally agree with Amy Ann! 🙂 You always look so happy! 🙂 This bag is perfect for fall/winter! Ok so I cannot get over your cuteness!! Seriously in love with that bag and you know I am digging that kimono! Perfect bag?! How about perfect look, get it babe! Okay the shape of that bag is EVERYTHING! Gorgeous! 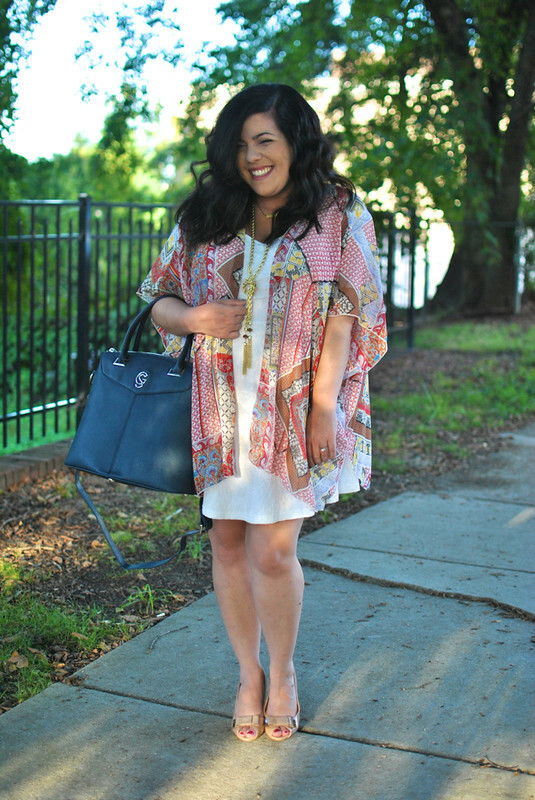 Love this look – the bag, the kimono … you look fabulous! This is a great outfit! I love the kimono! 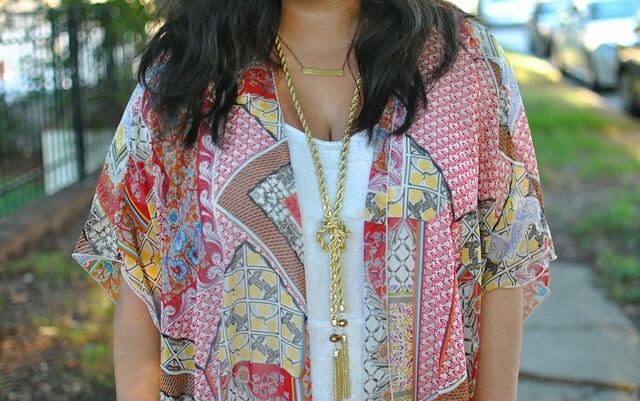 The colours and pattern are perfect for the fall transition and the necklace looks great with it! You're super cute and that kimono is crazy nice! So i wanna to ask you how about follow each other? I always follow back so let me know and we can keep in touch, will be great 🙂 I love to know a new people! That looks like a really good quality bag. Leather?